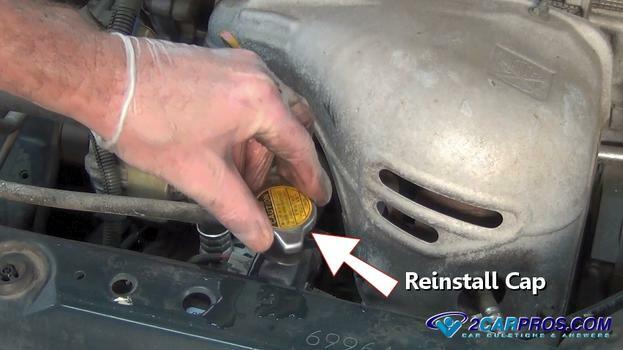 Easy step by step guide on how to replace an automobile engine cooling system thermostat, this information will vary per application but follows the same process. 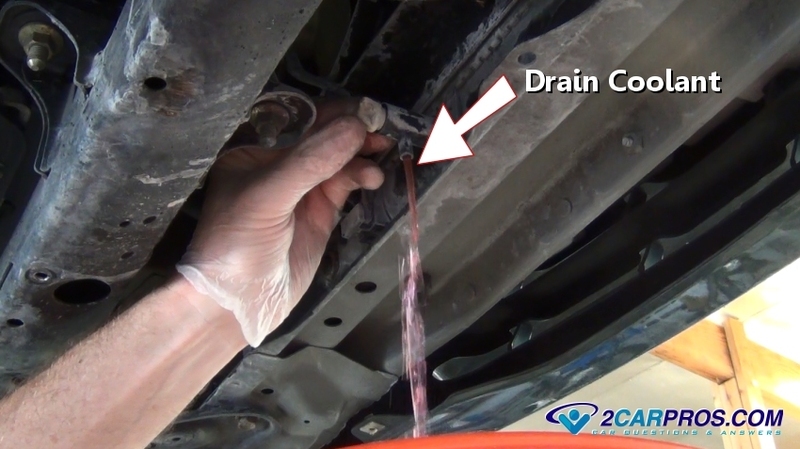 Begin with the vehicle on level ground, engine cold, in park with the emergency brake set, disconnect the negative battery cable and wear protective gloves and eyewear. 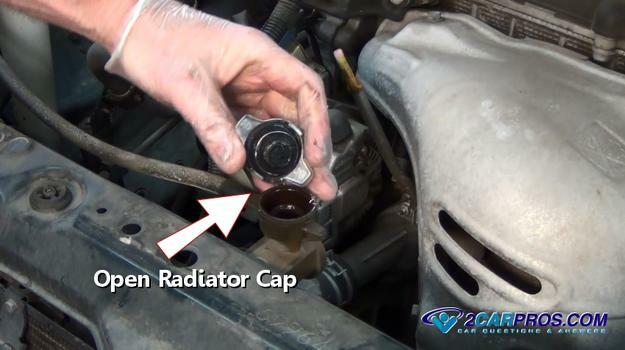 Step 1 - Slowly open the radiator cap to relieve pressure inside the cooling system. 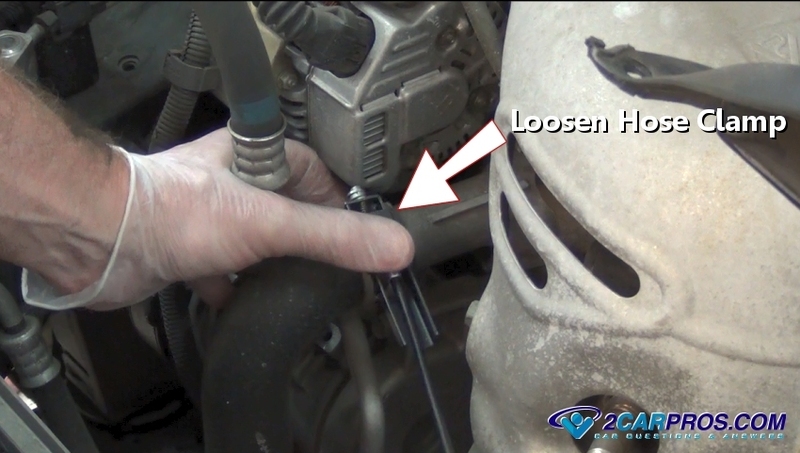 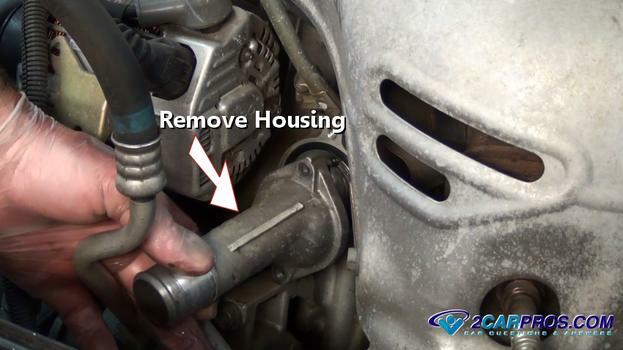 Step 3 - Loosen the hose clamp which holds the radiator hose to the thermostat housing. 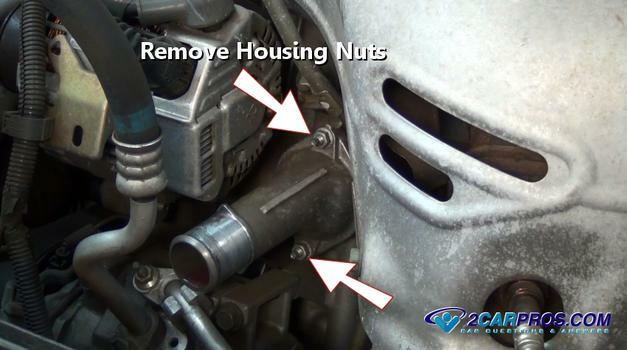 Step 4 - Use a wrench or a socket to remove the housing nuts or bolts. Step 5 - Gently tap on the housing using a small hammer to break the seal loose. 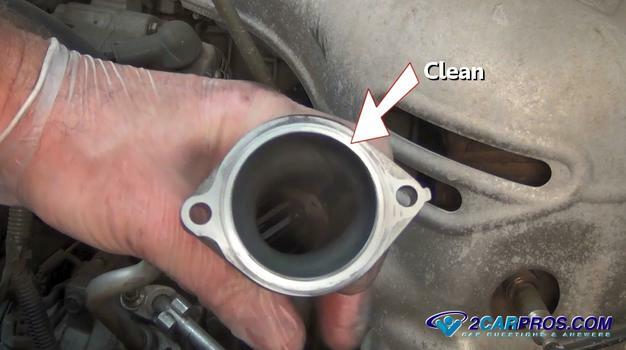 Step 6 - Once the housing has been removed, inspect and clean the gasket sealing surface for corrosion which would impede the new gaskets ability to seal correctly. 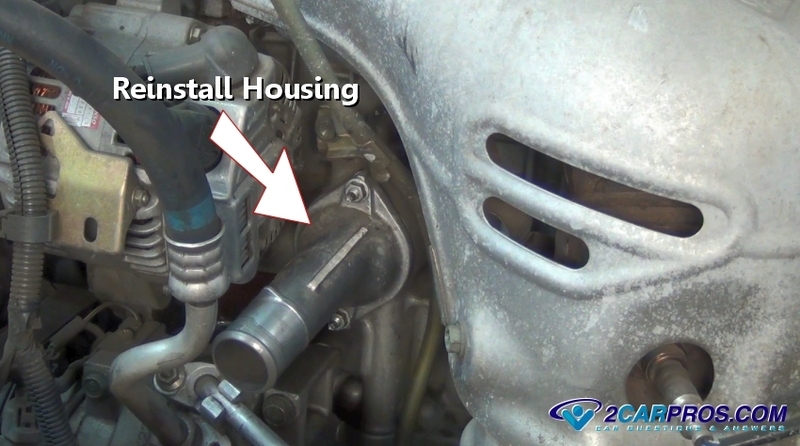 Step 7 - The thermostat could be stuck in the block or intake manifold and will need pliers to be removed, note the direction of the thermostat. 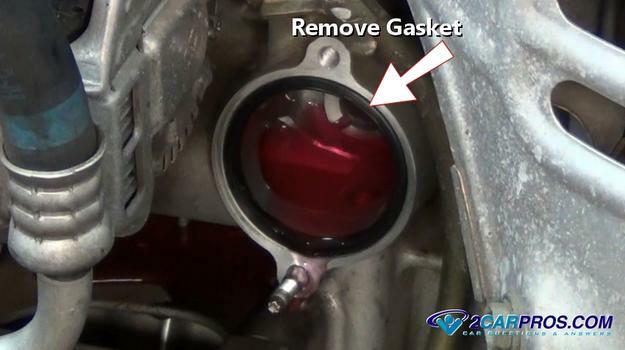 Step 8 - Remove the thermostat housing sealing gasket, clean the area using a shop towel to remove all debris which will enable the new gasket a proper sealing surface. 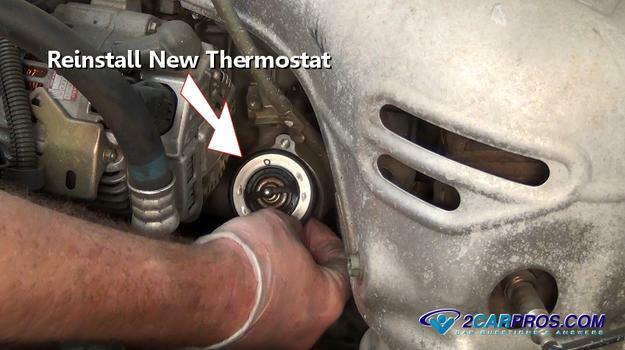 Step 9 - Match the old thermostat to the new unit, designs may vary. 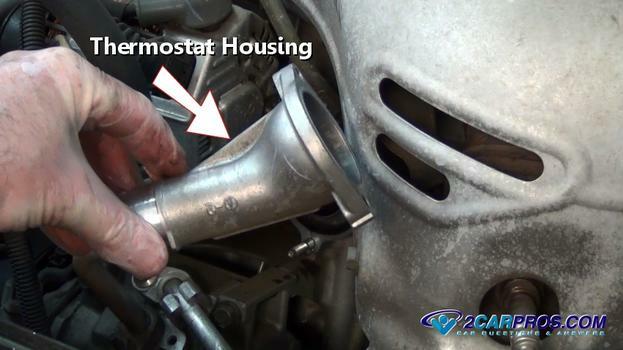 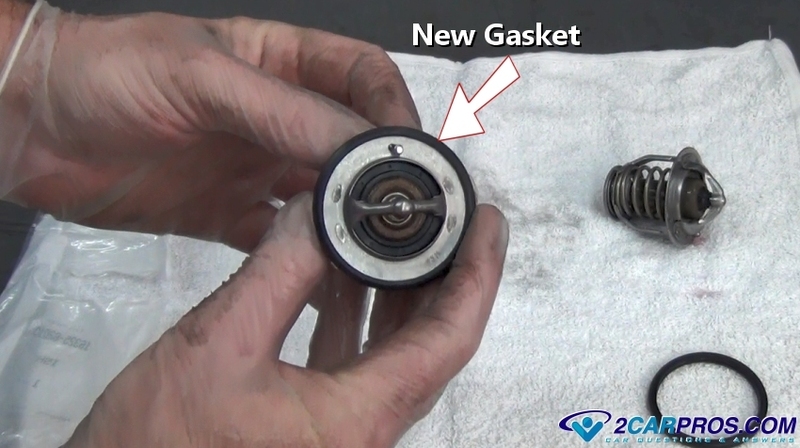 Step 10 - Install the new thermostat gasket to avoid leakage. Step 11 - The new thermostat must be installed with the air bleed hole facing upward. 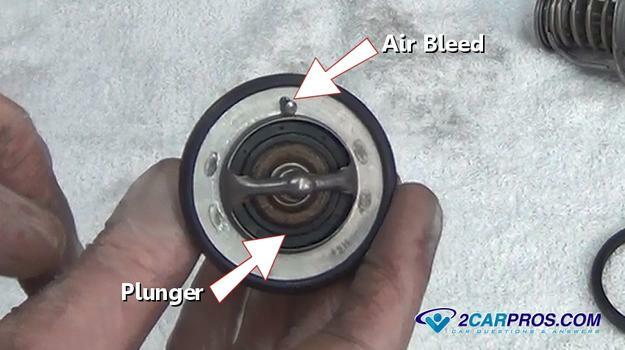 Step 12 - Once the sealing surfaces are clean, install the new thermostat, bleed hole "UP", push the thermostat into place. Step 13 - Before reinstalling the thermostat housing, clean the sealing surface using a gasket scraper or sand paper. Step 14 - Reinstall the housing onto the block or intake manifold, install mounting bolts or nuts and tighten evenly. Step 15 - Release the hose clamp as the hose is reinstalled onto the thermostat housing. Step 17 - While the engine is running and warmed up, top off the coolant level and re install the radiator cap, check for leaks. 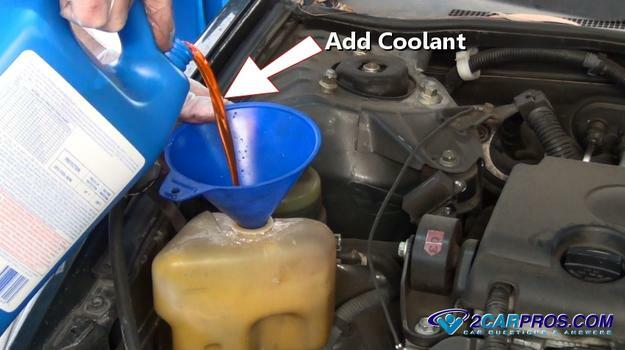 Step 18 - Remove the cap of the coolant reservoir it observe or add coolant. Its best to check this level in a few days in case more coolant is needed. 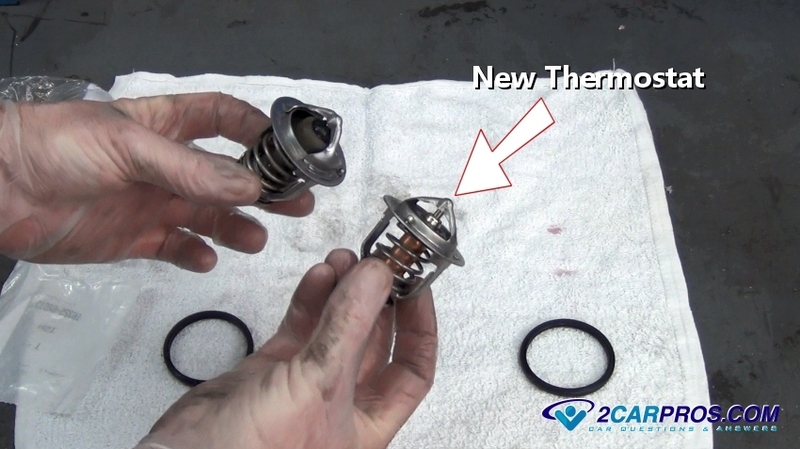 Like any mechanical device, over time, the thermostat can fail due to a weak spring or corrosion. 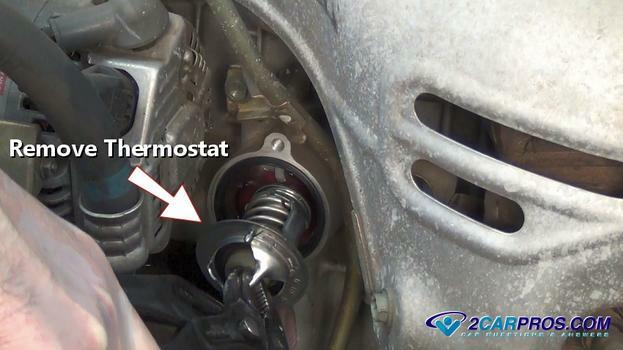 If the thermostat is stuck closed, coolant cant flow which will result in engine overheating, if the thermostat is stuck in the open position, the engine will not reach operating temperatures in cold weather, passenger heater operations will also be weak. 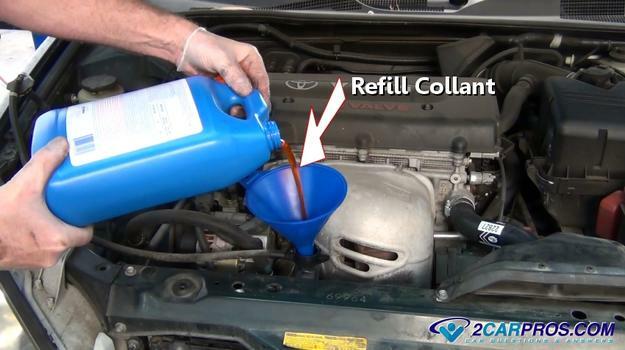 Coolant is toxic and can be fatal to animals and children so use caution when handling and be sure to recycle at a proper collection facility. 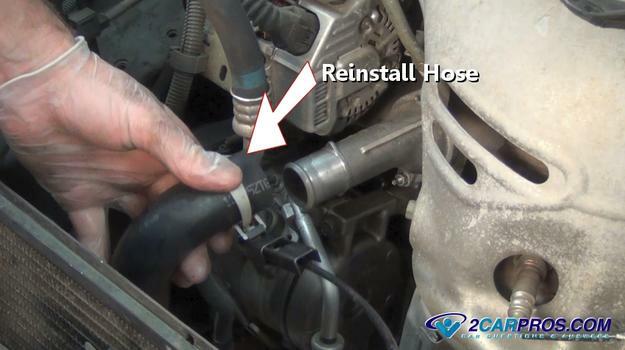 When the system is hot it holds pressure, use caution.